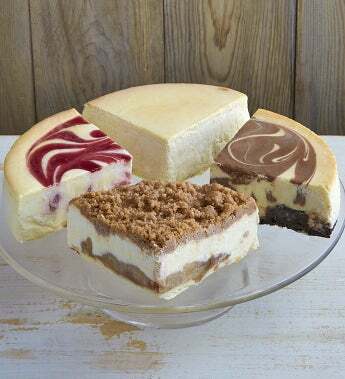 Try 4 flavors in 1 cheesecake - Original, Raspberry Swirl, Brownie Marble and Apple Crumb Cheesecake. Serves 12. Net wt. 3 lbs.